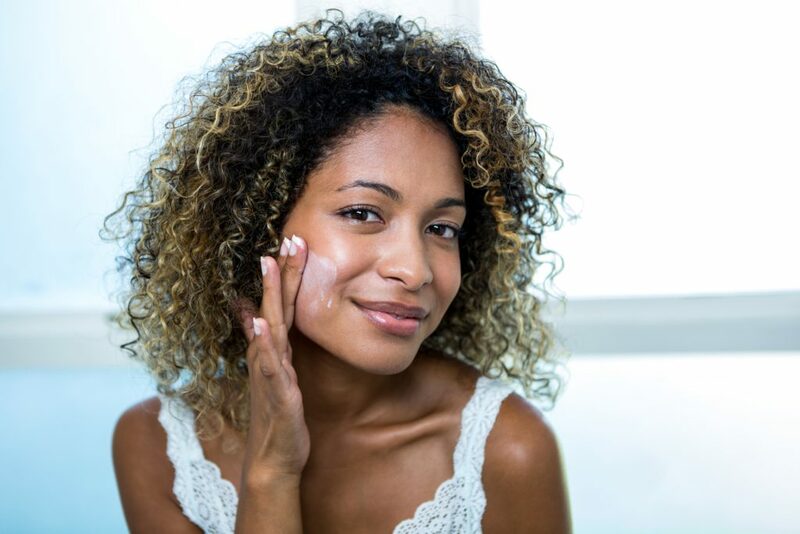 Winter comes with its own set of skin care problems—the dropping temps and lack of moisture in the air can lead to seriously dry, irritated skin. The products you relied on to get you through the summer and fall months — lightweight moisturizers, heavy-duty cleansers, and oil-absorbing face masks, for example — are just not going to cut it now that it’s colder outside. This season, it’s all about creating a skin care routine that’s super soothing and hydrating. 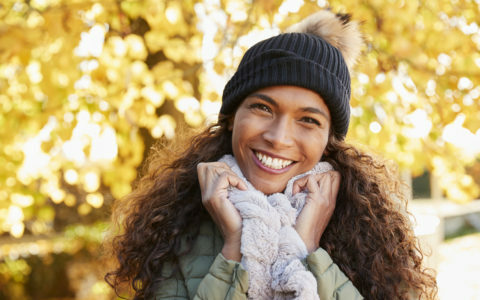 Follow the tips below to take your skin care regimen from fall to winter. When it’s hot outside and you’re sweating non-stop, you probably reach for a cleanser that promises to make your skin squeaky clean. But in the winter months when there’s close to no humidity in the air whatsoever, you’ll want to wash your face with something that’s not going to take all of your skin’s moisture with it when you rinse it off. A soap-free cleanser, like micellar water, is an ideal option because soap strips skin of much-needed oils. Another gentle cleanser that also works if you’re acne prone is SLMD’s Salicylic Acid Cleanser. You know how you layer a tank top under your long sleeve shirt, under your sweater when you’re heading into freezing temps? Take that same concept and apply it to your skin care routine. Stick with what you know (cleanse, treat, moisturize!) but give your skin some extra TLC. If your office blasts the heat all day long once the days start getting shorter, then it’s high time to up your moisturizing game. While super-light lotions might’ve adequately moisturized your skin in summer and fall, pick up something richer now to avoid flakiness. The intense heat and blasts of cold are confusing your complexion, and it’s in dire need of moisture. 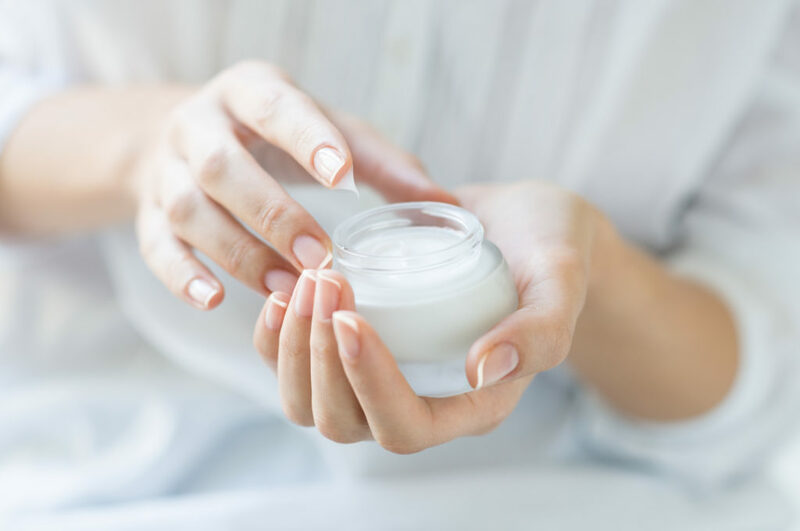 There are a few things to look for in your moisturizer this winter — humectants (like hyaluronic acid and glycerin), which hold onto water; emollients, like shea butter, which soften skin; and occlusives, like petroleum jelly, which lock in moisture. At night, apply a hydrating face mask. We love overnight ones that stay on your skin, like Origins Drink Up Intensive Overnight Mask to Quench Skin’s Thirst, which helps to replenish moisture that’s been lost during the day. Winter is all about keeping yourself as moisturized as possible. So, if you’re drier than you are the rest of the year, it’s time to cut back on the exfoliation. Once a week should be all that you need. If you notice that your skin is more flaky, you may want to opt for a physical scrub to wash away all those dead skin cells. You probably wash your hands a whole lot during the winter — after all, you want to avoid catching the flu, don’t you? The thing is, all that sudsing up can leave your poor hands chapped and raw. Slather on a hand cream every time you wash your hands. One of our least favorite aspects of winter? That’d have to be the chapped lips that come along with the season — not exactly ideal if you have some major NYE or Valentine’s Day smooching planned. Look for a lip balm that moisturizes your lips without causing any irritation. Hint: oftentimes medicated ones cause stinging or tingling. Last but not least, you just might find a humidifier to be your saving grace this season. Humidifiers add moisture back into the air — something necessary when your radiator is cranking out moisture-sucking heat. Bonus: Setting up a humidifier in your home could also help alleviate your stuffy nose!